new model. What would JUN do with the new platform? 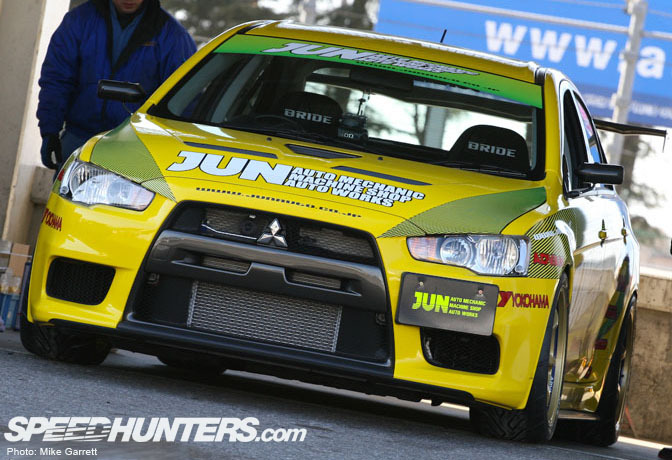 potential of the X, the JUN car at TAS did a lot to win over skeptics. 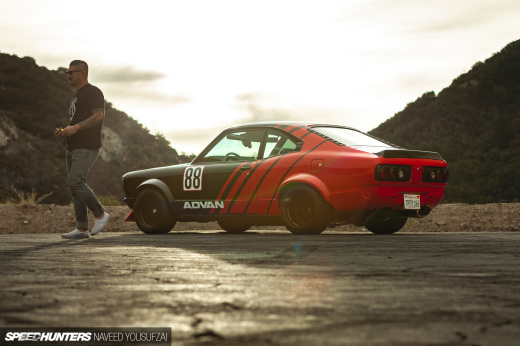 While the car certainly looked the part, the real question was, “how will she run?”. Turns out we wouldn’t have to wait to long to find out. than Nobuteru “NOB” Taniguchi behind the wheel. 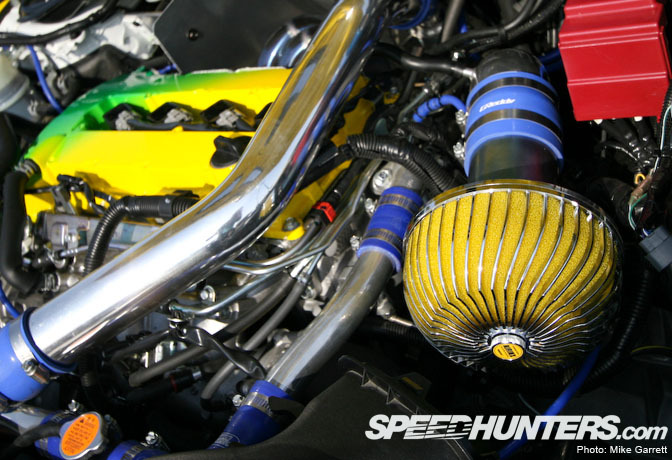 When looking under the hood, you can see that the valve cover has been redone in JUN’s signature paint scheme. 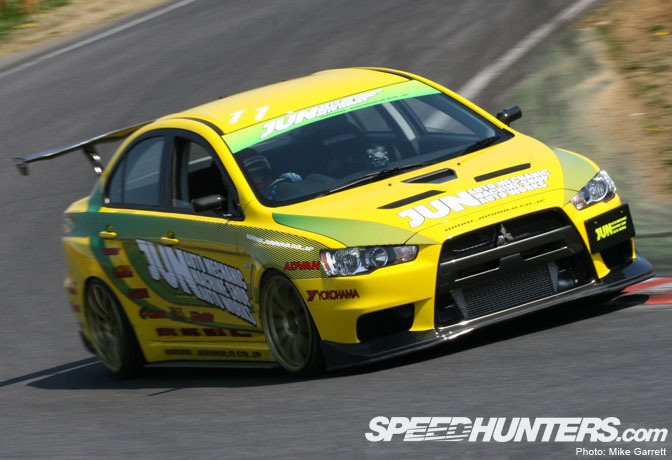 Endless suspension gave the car much flatter cornering ability. Obviously, JUN had put their work in all the right places. improved on the stock car’s lap times by about five seconds! covering the massive Endless stoppers. 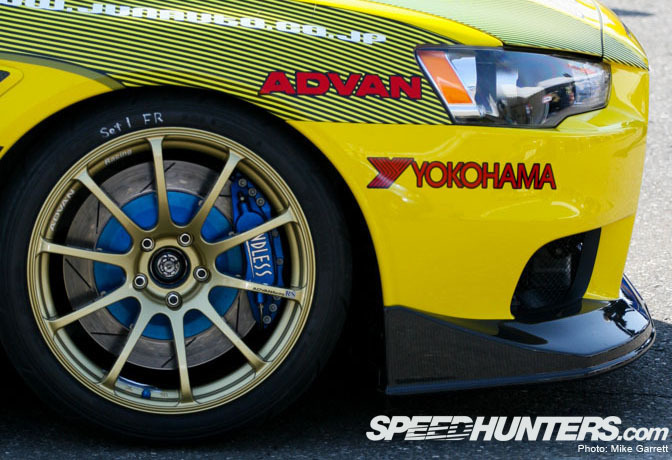 easily claim the title of fastest Evo X in the land. turn out to be even meaner than the ones that came before it. 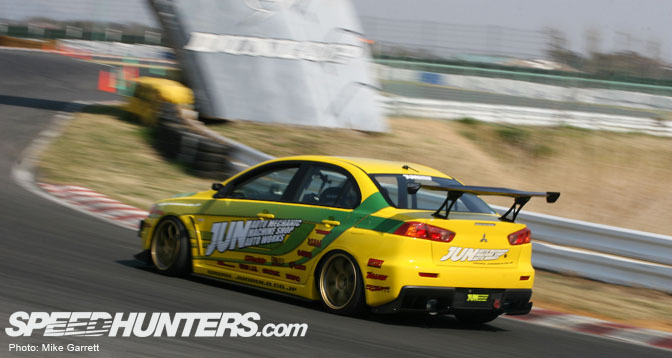 WOW "JUN" auto did it again. The new X will be fast, but I don't think it would be correct to say that the 4B11 will be able to put out power like the 4G63. As AMS has stated, the all-aluminum 4B11 will have a max power much lower than that of the iron-block 4G63. However, the brand new handling "technology" in the X is brilliant. How about teaming that up with a 4G63? Good job JUN! I Will definetely support u!